“THE WAY WE LIVE NOW” told the story of a Central European financier’s impact upon upper-crust British society during the Victorian era. 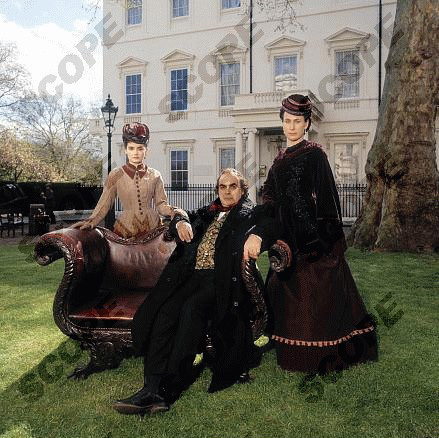 Augustus Melmotte arrives in London with his second wife and his daughter, Marie in the 1870s. Not long after his arrival, Melmotte announces a new scheme to finance a railroad project from Salt Lake City in Utah to the Gulf of Mexico. And he promises instant fortune to those who would invest in his scheme. The Melmotte family is also surrounded by a circle of decadent aristocrats and nouveau riche businessmen, all trying to get a piece of the financial pie. One of the investors is Sir Felix Carbury, a young and dissolute baronet who is quickly running through his widowed mother’s savings. In an attempt to restore their fortunes, his mother, Lady Matilda Carbury writes historical potboilers – a 19th century predecessor to 20th century romance novels. She also plans to have Felix marry Marie, who is an heiress in her own right; and marry daughter Henrietta (Hetta) to their wealthy cousin, Roger Carbury. Although Marie falls in love with Felix, Melmotte has no intention of allowing his daughter to marry a penniless aristocrat. 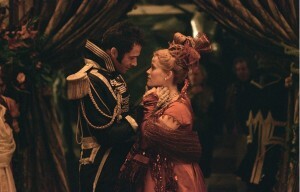 And Hetta shows no interest in Roger, since she has fallen in love with his young ward, an engineer named Paul Montague. However, Montague also proves to be a thorn in Melmotte’s side, due to his suspicions about the legitimacy over the railroad scheme.